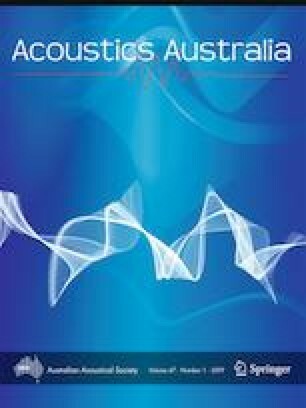 A theoretical modelling approach is proposed for the vibroacoustic problem of sound transmission across a rectangular double-wall panel clamp mounted on an infinite rigid baffle with magnetically connected stiffness. The magnetic stiffness is derived based on interaction energy between the two rectangular magnets attached to the clamped plates. The exact solution for the vibration of the clamped double plates is taken into account by the method of modal function, and the dynamic response of the structures is obtained by employing the weighted residual (Galerkin) method. This method enabled the coupling of the acoustic and the magnetic stiffness of the link to be done effectively. The accuracy of the theoretical predictions is checked against existing experimental data, with good agreement achieved. The model is then compared with the theoretical formulation in a duct based on a low-frequency range with and without magnetic stiffness. The sound transmission loss (STL) of the two models agrees perfectly in the first resonance, but the mass–air–mass resonance frequency for the current model tends to shift towards a higher value. Furthermore, the influence of magnetic stiffness on the elevation angle and azimuth angle of the STL is investigated. The present method is suitable for double-panel systems with connecting stiffness for practical plates and is applicable for both low- and high-frequency ranges. The author would like to thank Professor Yu Liu of the Department of Mechanics Southern University of Science of Technology, Shenzhen, for providing means of verification of this work.